Between the 14th and 27th May 31 of our kennels are having new floors fitted. This means there will be some disruption to our normal service and sadly sections of kennels will be out of use so to ensure you have space if needed please do book early. The cost per kennel is likely to be around £1,450.00 and we appreciate any support or help to this much needed work that is required to take place due to the current deteriorating floor. By donating £1450 you can help us refloor one of our kennels which will then last for decades. The GSPCA is giving all of our wonderful customers and supporters a chance to save on 2018 boarding bookings. Up until 31st January 2018 if you book your pets stay at the GSPCA in our boarding facilities you will be charged at the 2017 rates. Over the past few months the GSPCA team have been preparing and getting use to the new multi purpose animal welfare building. It has already had a baptism of extraordinary use after 25 Slovakian puppies were isolated in its facilities when they were detained in August. Over the past few weeks the GSPCA team especially Yvonne Chauvel, Helen Sharman, Anna Paint and Kim Marsh have been preparing sections for the BIG MOVE. 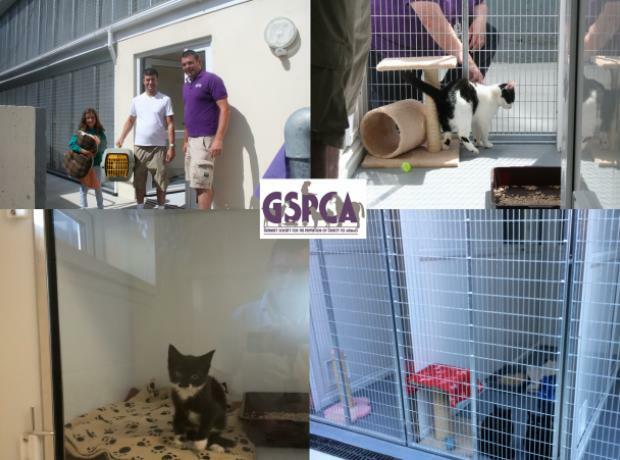 The GSPCA’s latest animal accommodation has been put through a phase of testing and is now open thanks to Sure and other build partners. Sure’s Community Foundation made a donation of £2600 to the project in order to become a build partner following an application for funds from the GSPCA. The new building has space for over 100 animals at any one time and the pens are able to be arranged in different formations to cater for different species. On Thursday last week the first ever animal was officially adopted from the new multi purpose animal welfare building. We officially received the keys of the new build on the 17th July and since then a number of cats have come to stay in the new build. 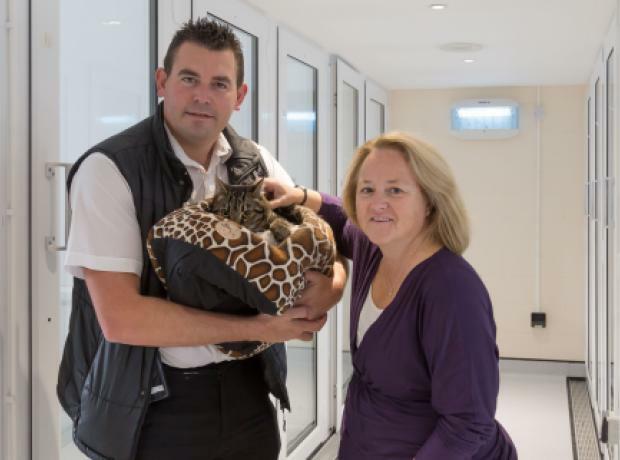 On Saturday the 18th July the first ever animal came to stay in the new multi purpose animal welfare building. We officially received the keys the day before and since then a number of cats have come to stay. 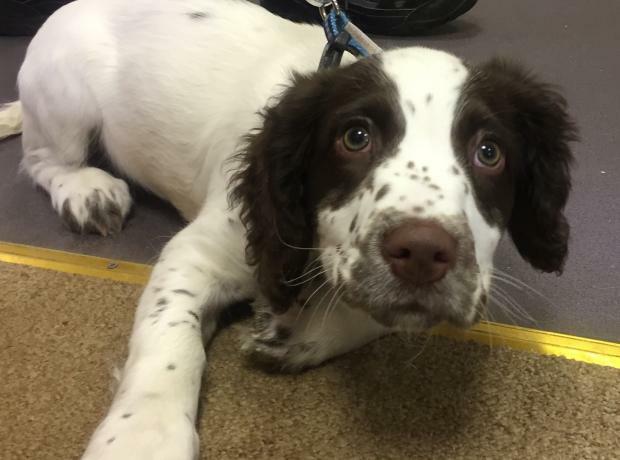 The first was 'Estra' who was adopted from the GSPCA last year. Estra had been living in a greenhouse before being brought into the Shelter as a stray.